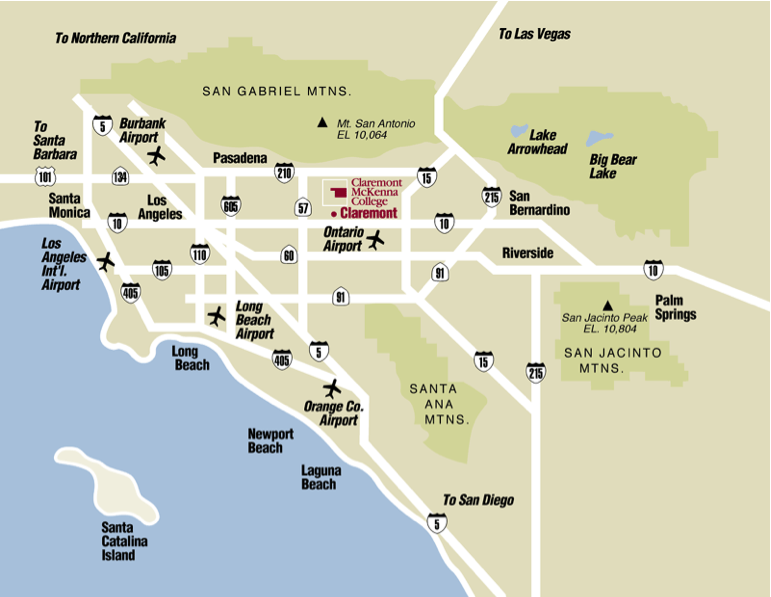 Claremont is located about ten miles west of Ontario International Airport (ONT). Los Angeles International Airport (LAX) is approximately 50 miles west of Claremont. Super Shuttle provides ground transportation from local airports. 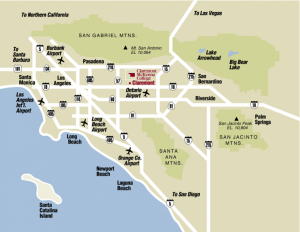 The Pomona Online Discount link provides a 10% discount for all Airports which include Ontario (ONT), Los Angeles International (LAX), John Wayne Orange County (SNA), Long Beach (LGB) and Burbank (BUR). Use the code Z87GL. The Los Angeles area Metrolink serves the city of Claremont with a station two blocks from the campus. Take the San Bernardino line east from Downtown Los Angeles, or west from San Bernardino. Once at the Claremont Metrolink station, walk east to College Avenue and then north to access the campus.